We are already working on Ceramic Art Andenne next edition! Welcome in 2021! Ceramic Art Andenne team is already working on the next edition in 2021. The call for applications for contemporary ceramics exhibitions will be broadcasted in 2019/2020. In the meantime, you can attend our workshops or meetings and/or follow us on social networks (Facebook, Instagram, Twitter). You can also contact us directly if you want to be informed. Ceramic Art Andenne (BE) is the new name of the former Biennial of Ceramics of Andenne (Belgium). This artistic and cultural event takes place in Andenne since 1988 and has acquired over editions national and international recognition. The event invites to learn about the industrial ceramic history of the city and aims to build a relationship with contemporary ceramists. During the event and its extensions, the city lives to the rhythm and colors of ceramics with a rich and varied program such as: exhibitions of contemporary ceramics, ceramics international fair, exhibition of works by students of academies and art schools, an artist residency program, lectures, artist demonstrations, etc. We are also aware of the importance of culture for our local community: several activities are organised to make art accessible to everyone, adults as well as children. Ceramic Art Andenne, why ? Ceramic Art Andenne contributes to perpetuate an action related to the history of ceramics in the city. The ceramic event was created in 1988 and called “Let’s see a pot” during its first two editions, quickly attracting an audience of connoisseurs and renowned artists. The event became known as the Biennial of Ceramics in 1992 and the organisation was assumed by the Cultural Center of Andenne. Not being a biennial any more, the name has changed: Ceramic Art Andenne is born for the 2018 edition. 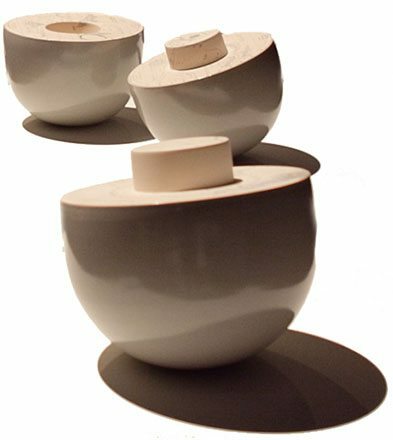 Ceramic Art Andenne is fully dedicated to provide visibility to the art of ceramics. It is a special place to talk, discover, touch, hear and see what is happening in the world of contemporary ceramics in its diversity of forms.